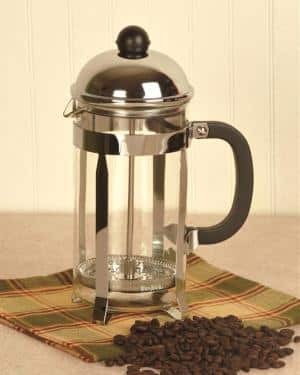 If you’re an avid coffee drinker, you most likely have something at home that brews a decent cup of coffee, is probably pretty functional, and has a moderate level of design. After all, coffee is pretty much just water filtered through some ground beans, right? 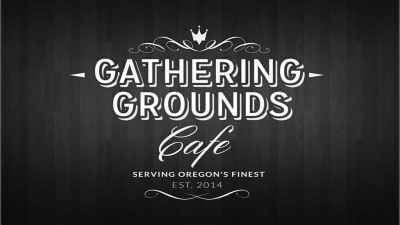 At Gathering Grounds, we want to educate you on coffee as much as provide you with the best cup of coffee. We have two interesting coffeemakers to tell you about and why they offer a different experience with your coffee in terms of design, function, visual appeal, and most importantly a great tasting cup of coffee. Those two specialized coffeemakers are the Chemex and the Aeropress. For starters, the Chemex and the Aeropress are both great coffee makers. They are both well-designed, simple and effective and with a little practice, you can get a great cup of coffee from each. Which One Makes the Best Coffee? The two are very different coffee makers, each designed with different results in mind. Which one is best however is a matter of opinion, but here are some things you might want to consider when deciding which would be best for you. The Chemex is designed to make scientifically correct coffee, it is essentially a piece of laboratory equipment designed to achieve the best cup of drip coffee with the minimum fuss and a heavy cone filter. The Aeropress is a different animal, it is more complex in design and aims to achieve espresso-style coffee by brewing the beans with stream pressure. In this sense they are aiming for different things, Chemex coffee is pure and mild, whereas the Aeropress makes small servings of stronger coffee. You may want to see the specs and details of the Aeropress here. Way back in 1941, an eccentric chemist named Dr. Peter Schlumbohm had a crazy idea for making coffee. He wanted a sediment free fantastic tasting cup of coffee, and he was going to invent a new coffeemaker to his standards. 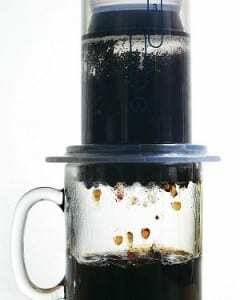 Through development with trial and error, Schlumbohn came up with a simple glass container shaped like an hourglass that easily filters water through ground beans without risk of sediment contamination and changing the flavor of the coffee. The container is made from non-porous, borosilicate glass, fastened with a wood collar and tie, and has stayed true to its design over the last 70 years. While that design sounds pretty simple, the visual appeal of the hourglass container with its collar and tie have been featured as part of a permanent collection at the New York Corning Museum of Glass and also selected by the Illinois Institute of Technology as one of the 100 best designed products of modern times. The wood collar provides a heat insulated area to hold the hot container, yet offer a sophisticated visual style like no other coffeemaker. Making a cup of coffee with the Chemex is simple. They offer a specialized filter that fits snugly inside the throat of the Chemex coffeemaker, add your ground beans to the filter, and then pour hot water over the beans. Gravity will slowly move the water through the beans and filter to generate a delicious cup of coffee without sediment or flavor enhancement from the non-porous glass container. Once you’re done brewing your coffee, cleaning the Chemex is simply a matter of disposing the filter properly and washing the container. You will remove the wooden collar and tie, then you can hand wash or place it in the dishwasher and hit go. Is the Aeropress Similar to the Chemex at All? If you’re in a hurry to get that first cup of coffee in the morning, waiting for gravity to slowly brew your cup can be maddening. The Aeropress coffeemaker aims to reduce that wait time and have you sipping that first cup sooner rather than later. The Aeropress way of making coffee involves mixing hot water (ideally at ~175 degrees F) and coffee grounds in a large chamber, stirring with a spoon for 10 seconds, then pushing the flavored water through a filter into your favorite cup or mug. 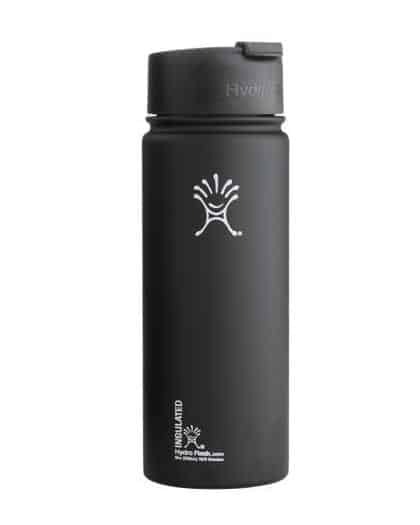 The chamber and filter hold the grounds and only pass the water through for a great tasting cup of coffee without risk of sediment in the bottom of your cup or enhancement from the container. The flavor will be without bitterness and with very low acidity, and that is great for those that require a less acidic coffee. One of the interesting things about the Aeropress coffeemaker is that it’s portable. While the Chemex is glass, the Aeropress is made from a durable BPA-free plastic and has its own carrying case to easily take it from place to place. Buyers seem to love it for camping, backpacking, boating, or just traveling in general. In addition to the nylon carrying case, you can buy a simple bag of coffee and filters to travel with the case. Clean up for the Aeropress takes a few seconds with a hand wash, and it’s also dishwasher safe if you choose to toss it in after your morning cup and then head out to work. Now, the similarities here are that both the Chemex and the Aeropress offer a cheap and portable alternative to standard electric coffee machines, the Chemex giving the auto-drip machines a run for their money and the Aeropress is marketed as an espresso substitute on par with the moka pot. 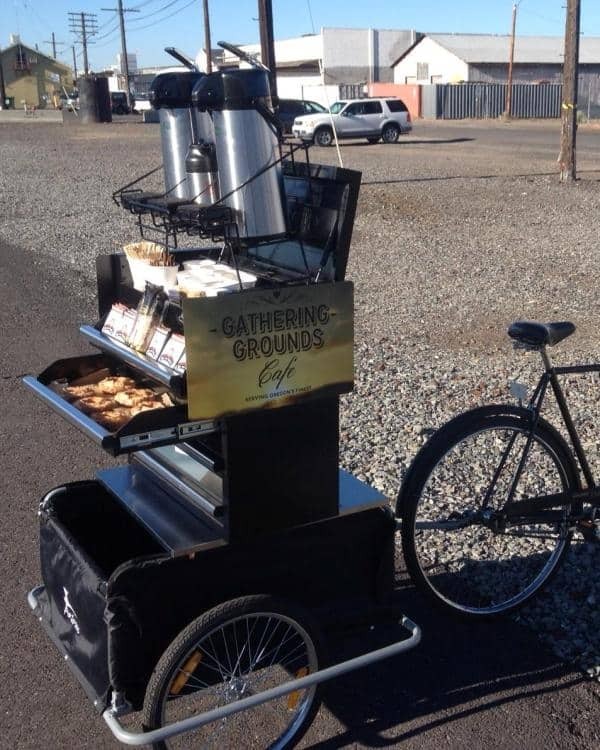 This means that if you like drip coffee or espresso but you don’t have the money or space to buy a machine for work, then they are great options to have available. The Aeropress makes an espresso-style coffee, more similar to stovetop moka than the true machine espresso. It’s pressure-brewed by hand, so the brewing process is quick and micro-filtered to make a very clean cup. 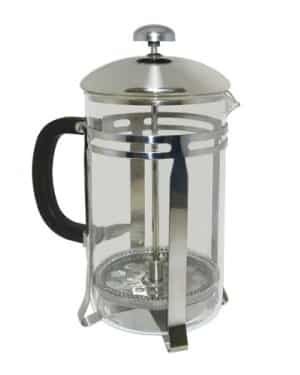 The pressure created in the brewing process is too low to extract the oils from the beans and the filters prevent almost all sediment from passing through, so you can drink the whole cup of coffee. 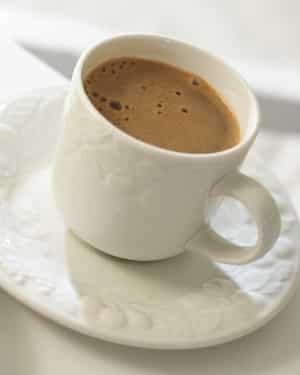 While the Aeropress gives good coffee, it is considered by some to be a little weak – like a long pulled lungo espresso. That can be countered by just using more coffee than the instructions recommend. The method is pretty versatile and so is the coffee produced. If you like milky coffees, or need to cater for a family with different tastes, then the Aeropress gives you an espresso style base for making all sorts of coffees, even iced coffee. The Chemex makes pourover coffee really well, and it uses heavy filters to enable the use of a finer blend than most other pourovers without getting the sediment in the cup. The scientific approach to coffee gives a clean cup of full-bodied coffee without bitterness. Its results are great if it’s regular coffee you’re looking for, but without a high price tag or any unnecessary fuss. Both the Chemex and the Aeropress are easy to clean, small and affordable so they make a great back-up for your usual brew. Which one is best then, depends on the coffee machine you’re looking to imitate. So there you have it. The choice is yours. The right coffeemaker for you depends on what sort of coffee you’re looking to make and how you want to use it, but we think you can’t go far wrong with either of these choices. One makes a form of pour over “long coffee” or coffee to be consumed in larger serving sizes. The other produces a variant of “short coffee” otherwise known as espresso, which is meant to be consumed in smaller quantities. If you want a clean cup then by far and away the Chemex wins. 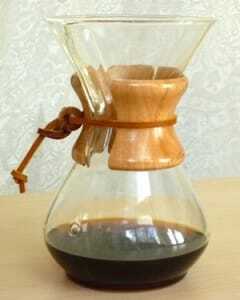 The cone on a Chemex doesn’t allow for mud or sludge to enter your cup at all. You can make good coffee with either the Chemex or the Aeropress, but the coffee the Aeropress produces is a winner in terms of versatility. If you’re a fan of an Americano, Cappuccino or Latte, then you can make all those with the Aeropress also, provided you have the means of heating milk. These drinks are all espresso based and the Aeropress is an espresso style coffee. The Aeropress is a slightly more complicated coffee maker and as such it takes a few more steps in the instructions to get the result you’re looking for. It’s just as well then that it comes with great instructions and plenty of filters to make your practice period at least a little bit less infuriating and expensive. The Chemex is a much more simple machine, the most complicated part is probably folding the filter correctly and that’s two folds – unless you skip that part and buy the prefolded ones. The instructions are 4 steps long and it’s very simple stuff. The Aeropress is the cheapest to buy and the cheapest for replacement filters. The price difference is not a lot of money to get the kind of coffee you prefer but the price of the Chemex filters is considerably more expensive. While you can get the Aeropress filters for roughly the equivalent of a rounding error, the Chemex filters (because they are much heavier and there’s a lot more paper involved) are significantly more expensive. This doesn’t make the Chemex expensive however, you could probably use it for a year and easily make your money back in what you’ve saved on take out coffee. If you’re going to be leaving it out in work and allow other people to use it however, it’s certainly something worth considering. Coffee isn’t just about pouring water over ground beans, is it? It should be an experience in alluring smells, delicious tastes, and should also stimulate your visual senses as it’s made. Consider it your early morning adventure to start your day. If you are interested in learning more about these units please see our full review of the Chemex here or the full review of the Aeropress here.